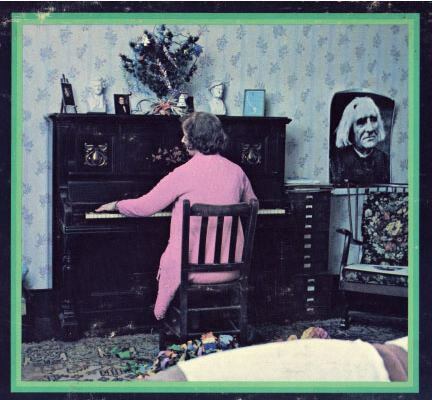 Rosemary Brown at the piano; Franz Liszt looks on. I know you are looking at me suspiciously thinking “contacted you?” Well, yes. I use an instant messaging program where I keep in touch with friends and colleagues in real time. Yesterday, a new name popped up on my screen: “Rose Brown” and a message that said “Roger, are you there?” I clicked the ACCEPT button and replied “who IS this? Do I know you?” Here is a transcript of our conversation. Roger: Aw c’mon, who is this really? Rose: I told you, Rosemary Brown. I have come to commission you to carry on my work. Roger: Rosemary, er, Rose, I have no interest in channeling other composers music, much less trying to convince the world that I am doing so. Rose: I don’t want you to do that. I wish to use you as a mouthpiece of composers who are still in Fermatatory, what you refer to as Purgatory. Each of them has unfinished business before they progress onto their next spiritual step, a tempo-ness, not unlike your concept of atonement, but with less baggage. These spirit-beings do not have the skill or power to materialize on your planet, but they have been able to adapt to your internet simply by using their minds. I am not typing on a keyboard to you right now, I am envisioning the words and they are appearing on your screen. I have been appointed the coordinator for this project. We tested you last year when you almost unwittingly began to channel Hector Berlioz for the purpose of offering Rufus Wainwright composition lessons. We were pleased with your work and were authorized to transfer those responsibilities to Charles Ives. Roger: You mean it was YOU behind all that? Like Stravinsky and Le Sacre, I was but the vessel through which that information passed. I simply entered a trance state and wrote down what came through. Wow, I’ll have to think about this. Rose: No, you do not have an option. You WILL be the mouthpiece of this stranded band of composers. I will authorized communication channels for them to contact you directly on your computer. I know that Mr Ives has received Rufus’s package of materials and will be in touch with him directly. I’ve asked him to CC you and me as well. I know that you will take this duty seriously. If you need to contact me, google my name and I will get it, as I have a direct feed from Google (they bartered with me). How many Hendricks gins did you have before that one, bro? Are you going off the deep end? No, haven’t really had much gin of late. This is an entirely sober project. Ms Brown would not let me take on such important matters being three sheets to the wind!